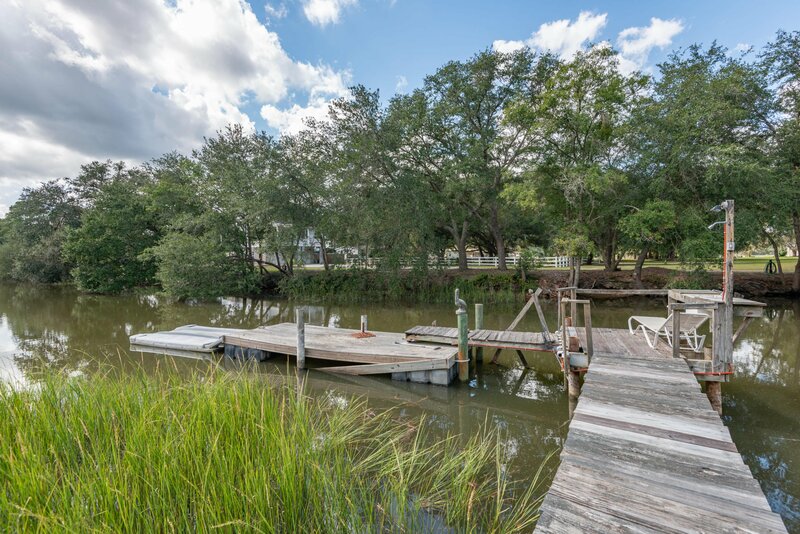 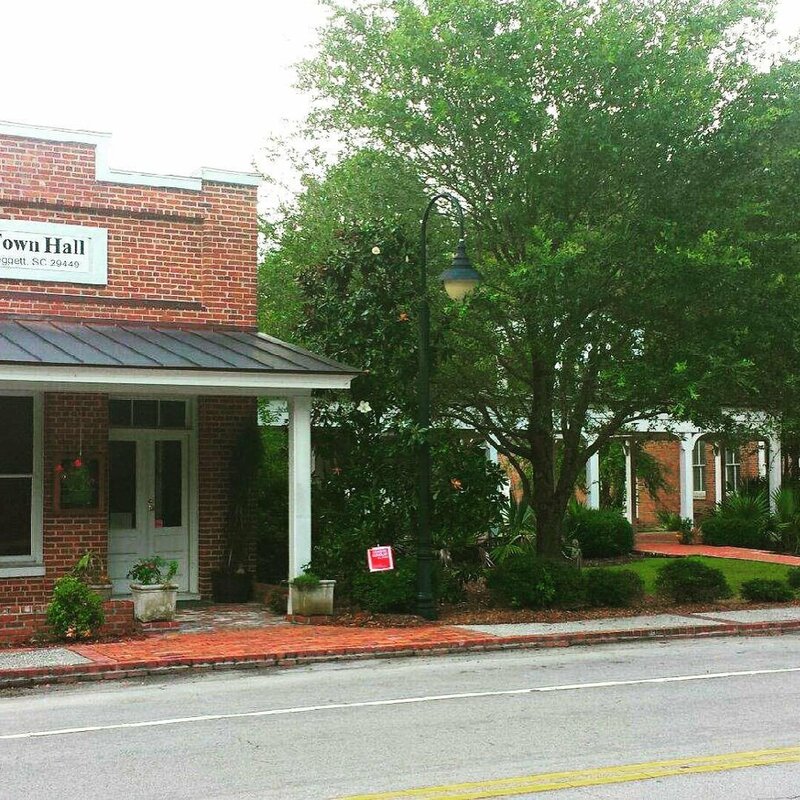 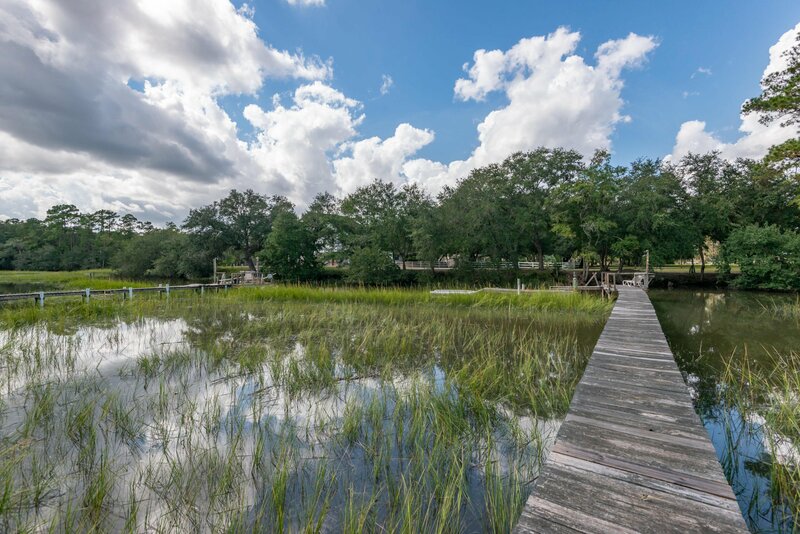 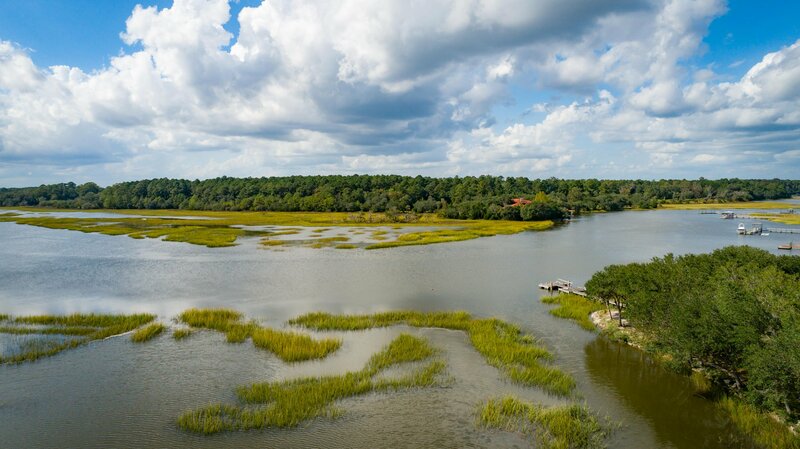 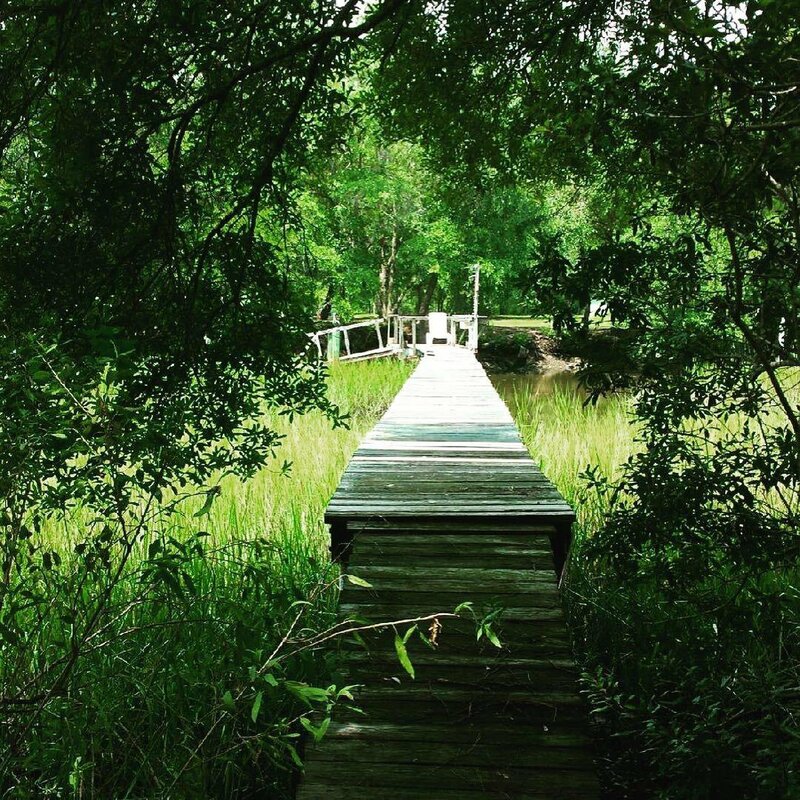 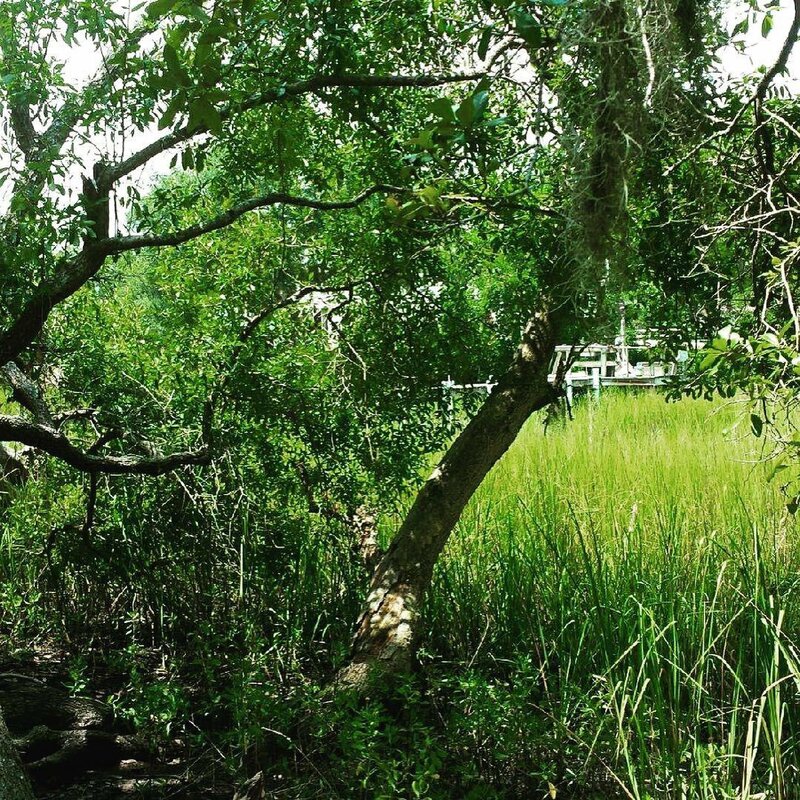 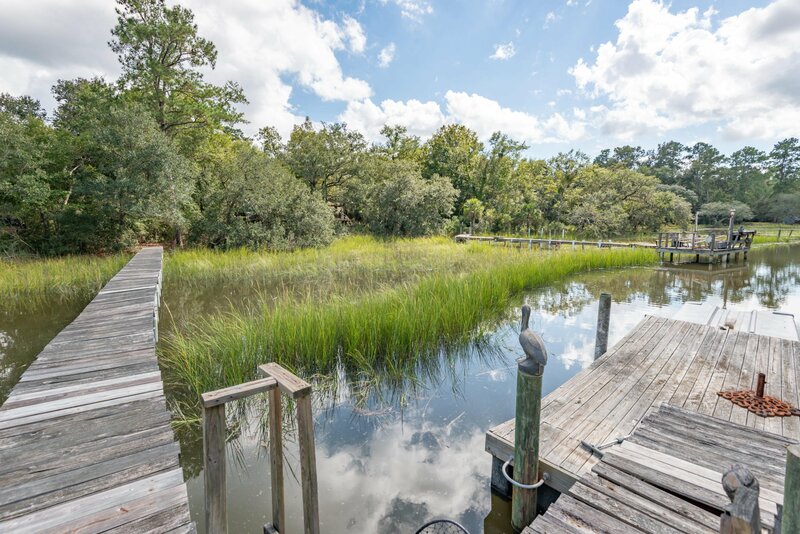 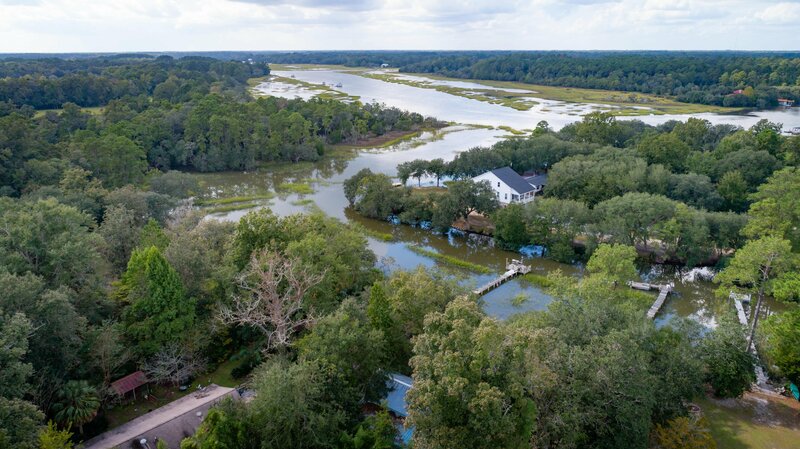 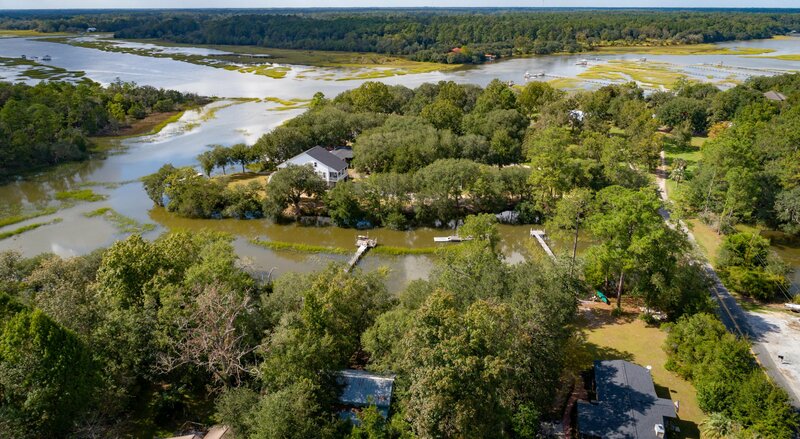 Feel the sweet low country breezes from this beautiful piece of land on a tidal creek with access to the intercostal waterway. 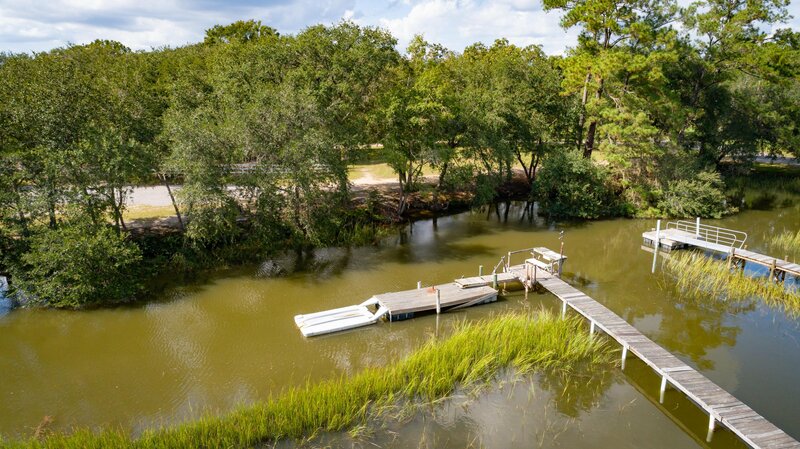 The dock is equipped with a Jet T and a 15' floater and will hold a 16ft boat! 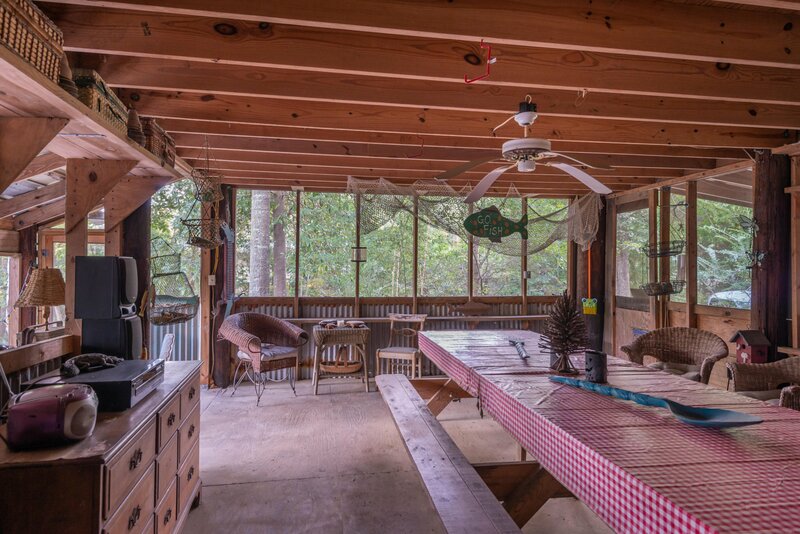 Clean up is a breeze with the fresh water sink , shower, and floodlight for evening light. 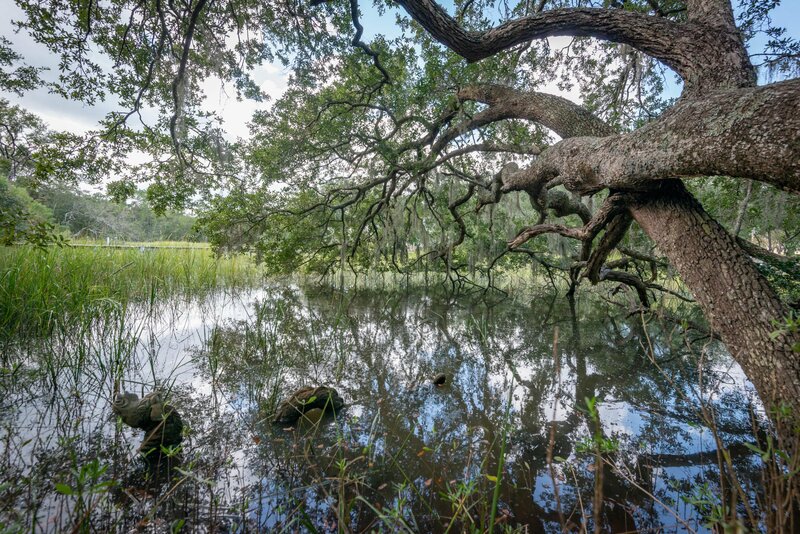 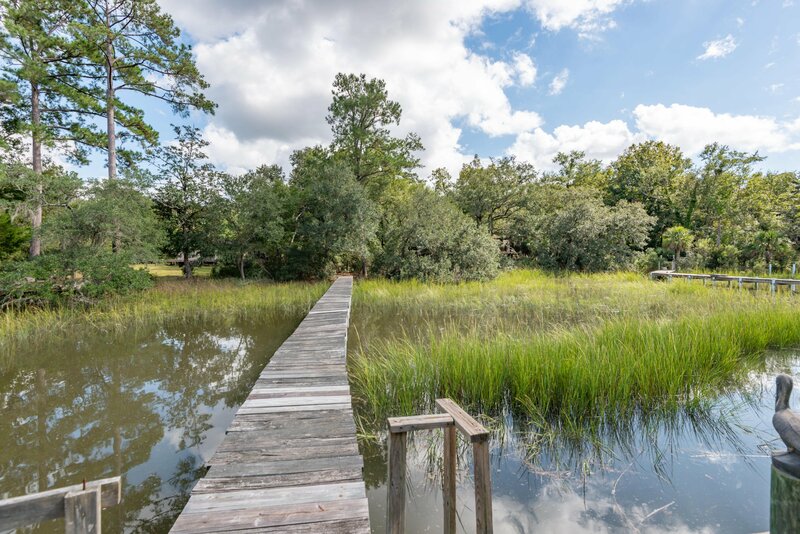 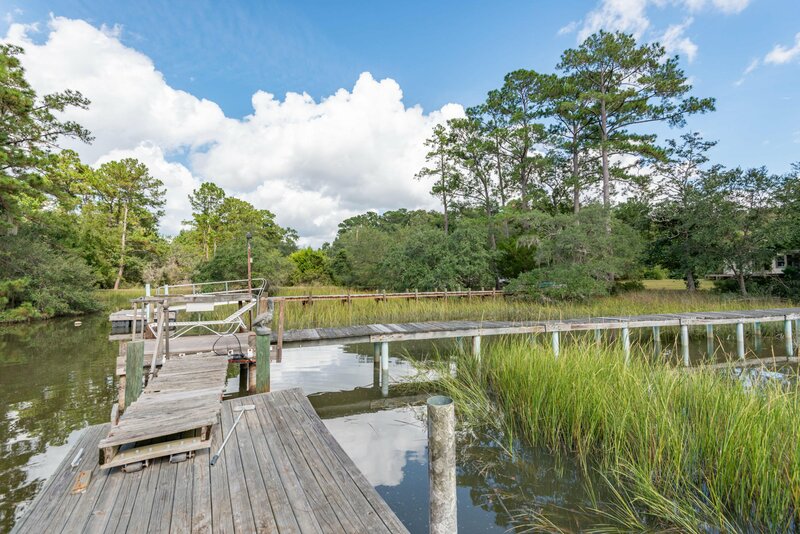 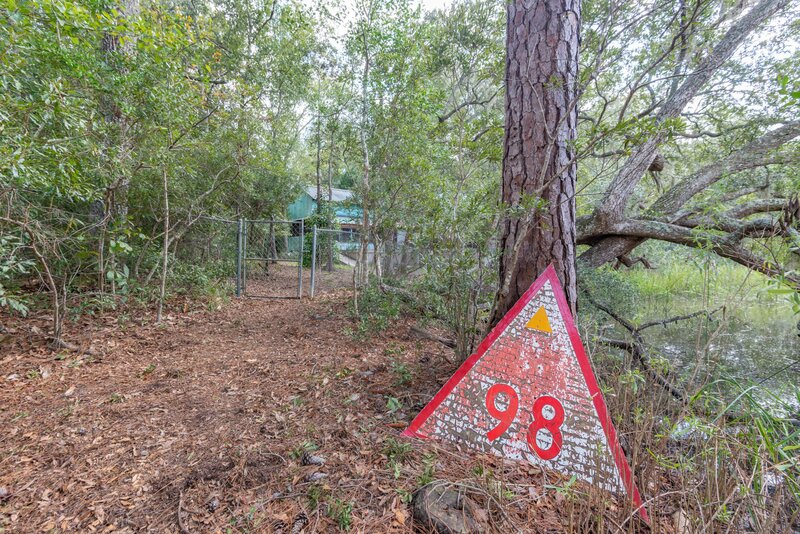 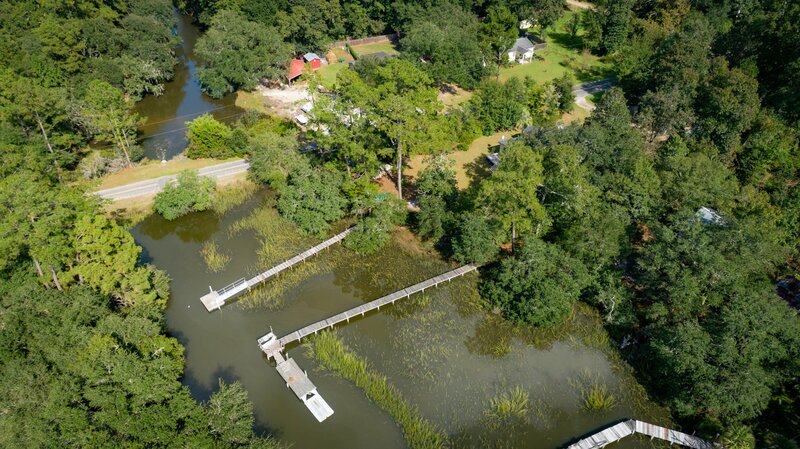 This area is a very attractive price point for water views, oaks trees and a dock. 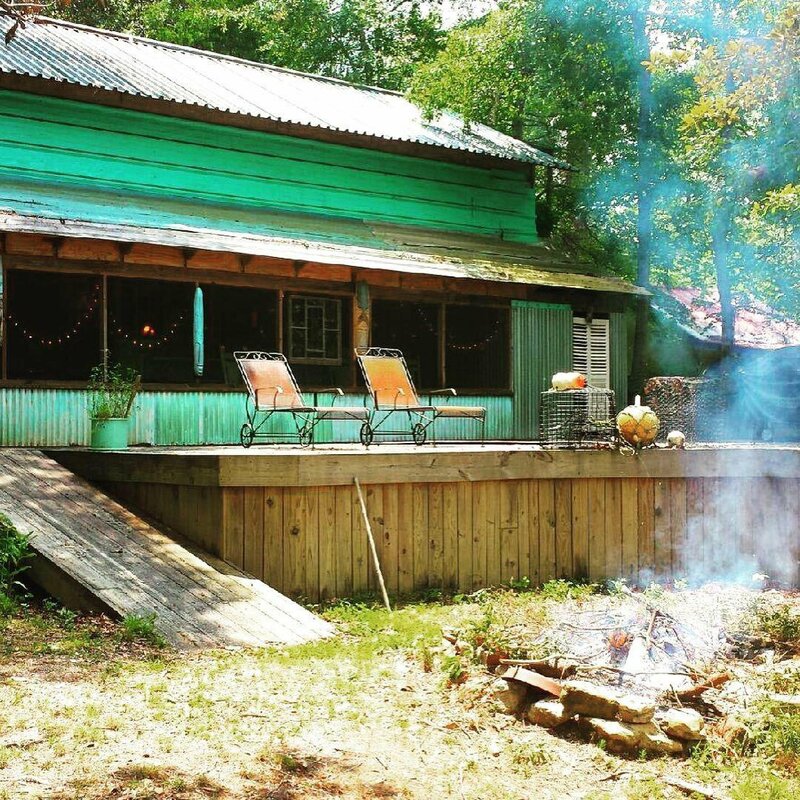 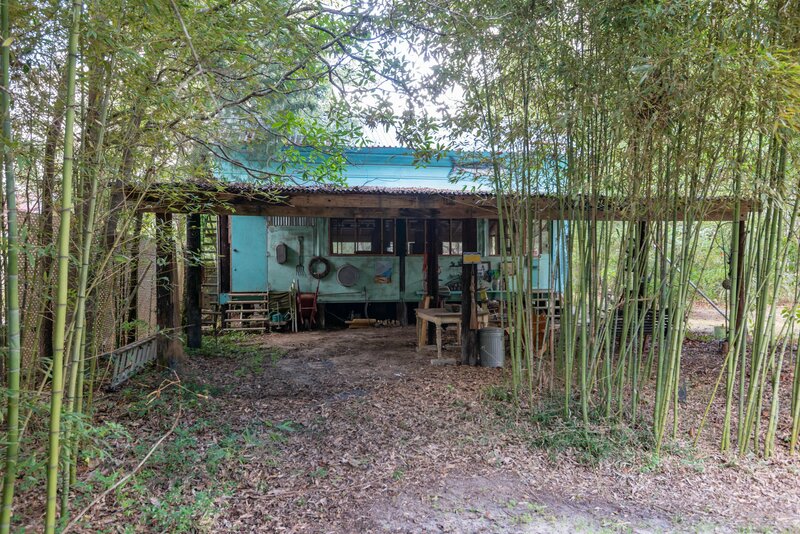 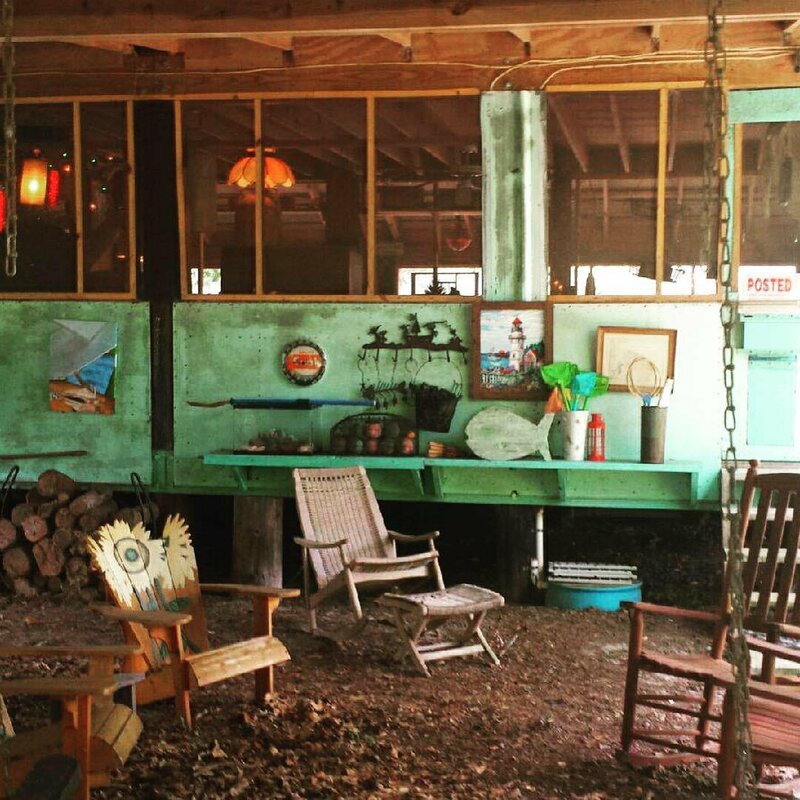 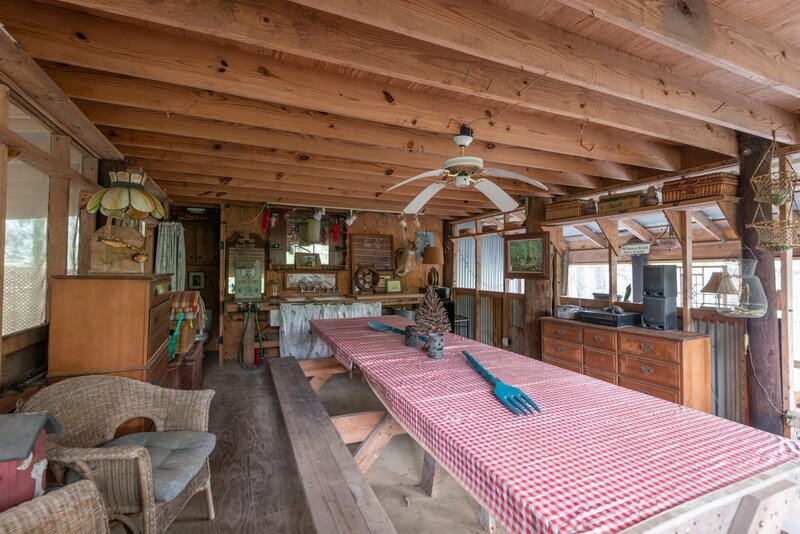 This property is ideal for weekend retreats, with its rustic fish shack/ cabin/ boat house / weekend retreat and will hold up to 20 people for an awesome time with friends and family. 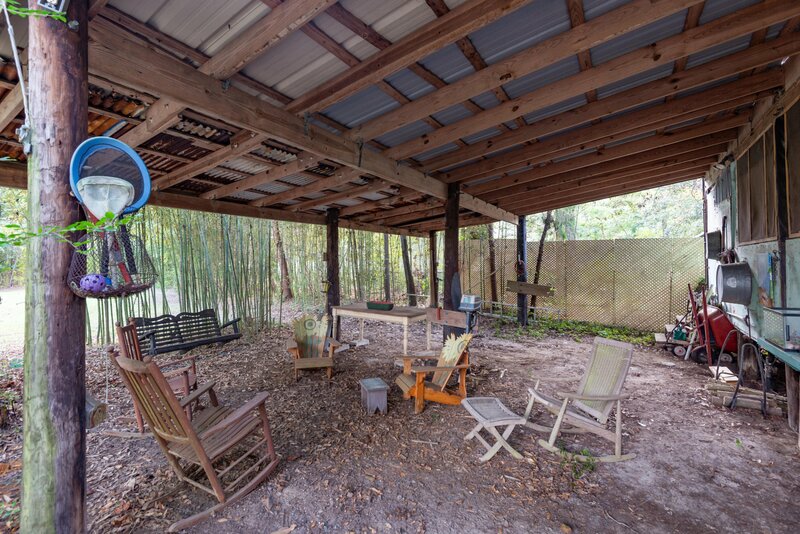 You will love the added deck space and huge fire pit. 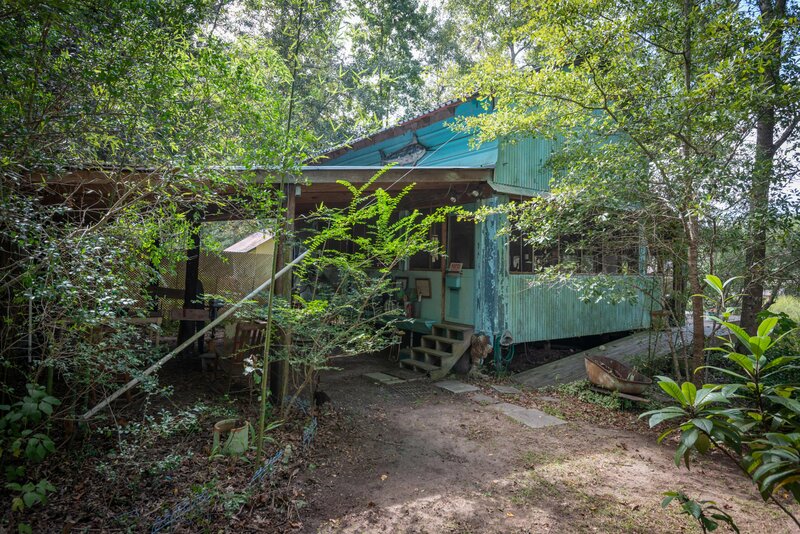 While the structure is not habitable, its a great place to spend the weekend dreaming about the house you could build. 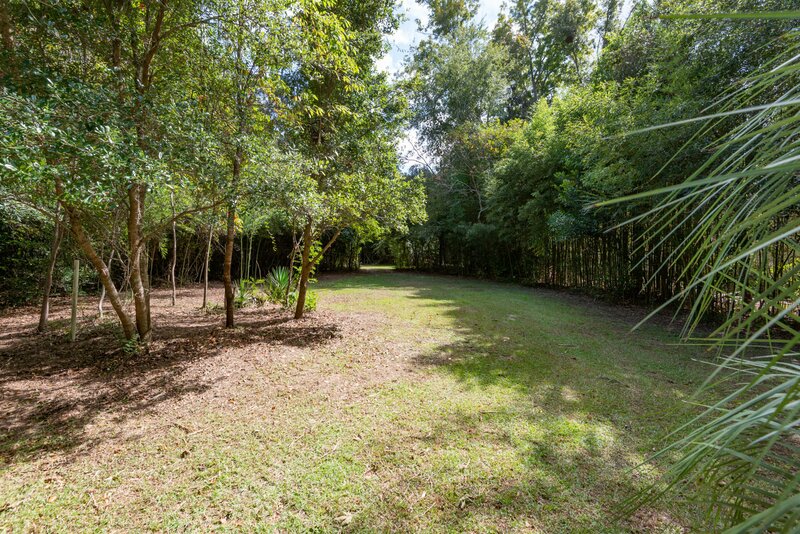 420 acre park is across the street! 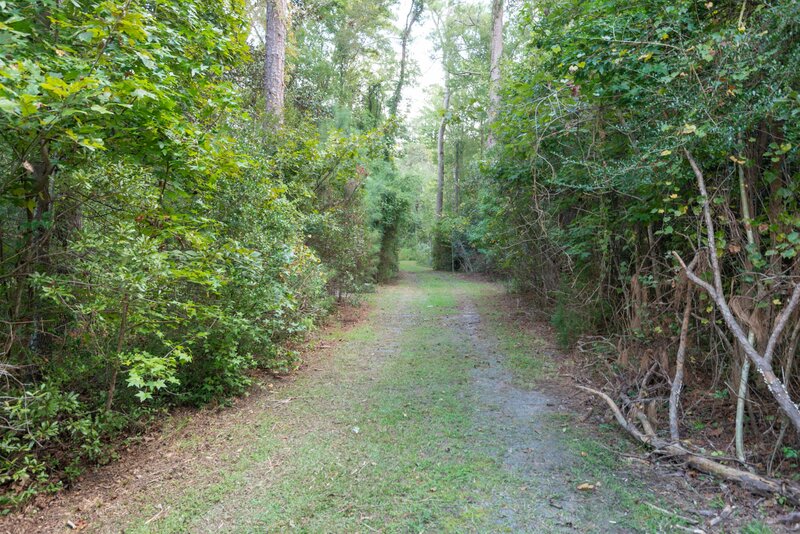 This lot will be an awesome spot for your new house plans! 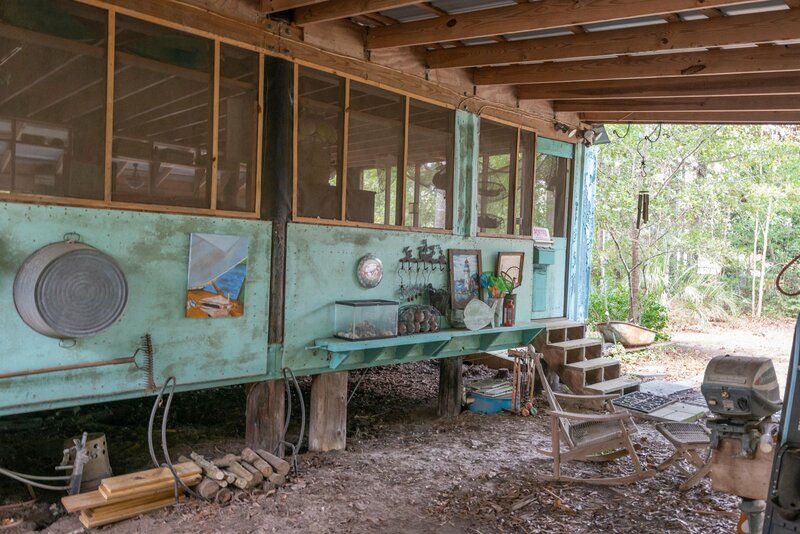 Some ideas for the existing structure could be to make it a pool house and add an infinity pool , a boat house, or just simply keep it as is for entertaining and enjoyment . 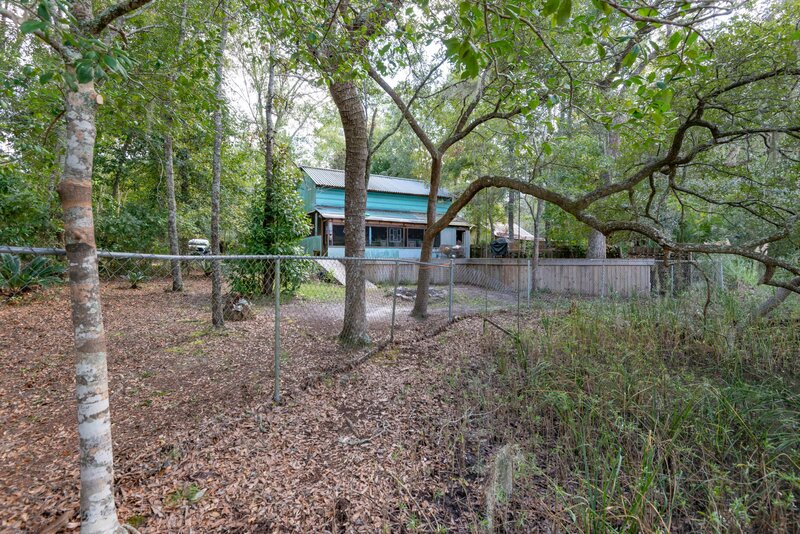 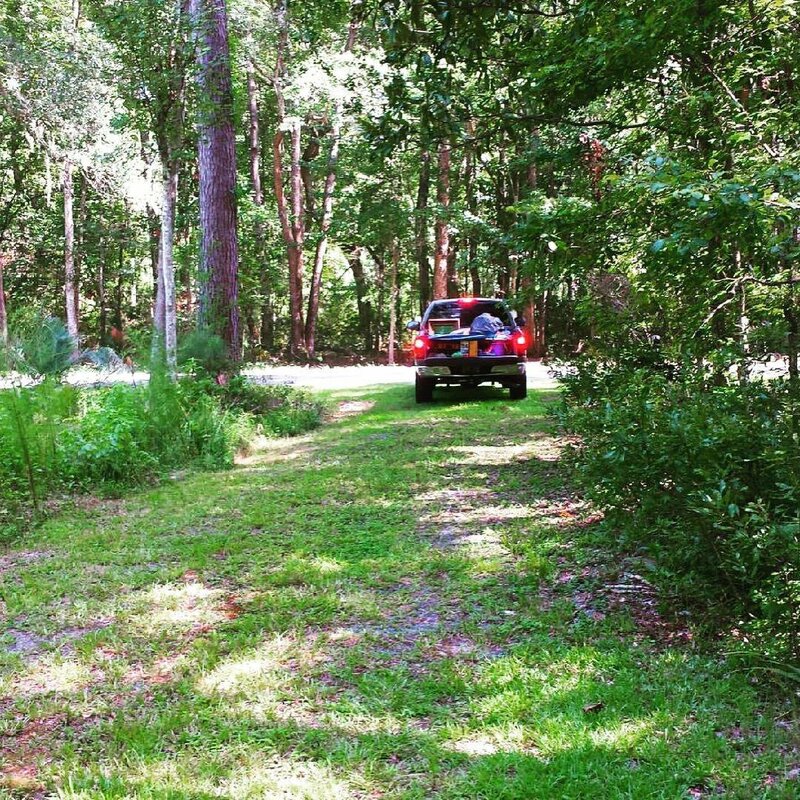 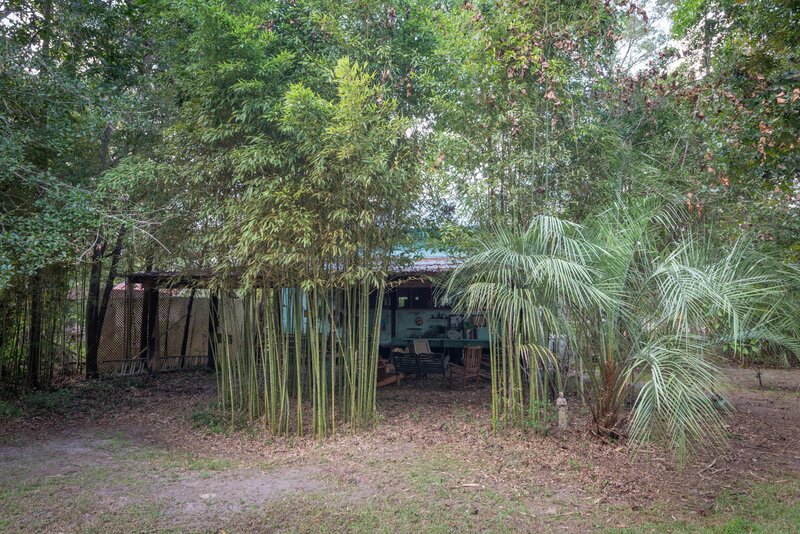 This lot provides a private drive with a basketball goal and concrete pad. 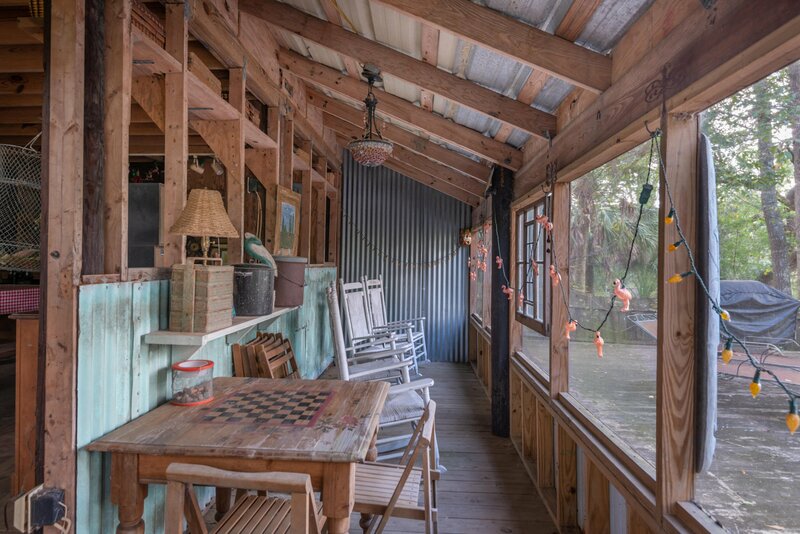 The "fish shack" offers running water, a toilet and a privater shower.